Middle of last month I presented a webinar titled Cameras and Gadgets - Gifts for the Videographer...where I highlighted some of the video technology tools that are available this year for those video producers and hobbyists on your holiday gift list (maybe yourself ?). The presentation is uploaded and available for free which you view on-line here... it's split into two videos: Part 1 Cameras, Part 2 Accessories & Gadgets. Holiday Lights Video Workshop in San Francisco - 50% discount today! To celebrate the coming Holiday season I will be offering special prices for my Holiday Lights Walkabout video camera workshop...today only (Monday, November 28th) you can purchase tickets to attend my hands-on video camera coaching workshop which will be held on Thursday, Friday and Saturday - December 14, 15, and 17 in San Francisco. Regular price for this fun and useful hands-on experience is $59 for the 3-hour workshop, but on Cyber Monday (November 28, 2011) you can purchase your ticket for $29! Join Chet Davis presents the latest and best video cameras and gadgets - just in time for those video producers on your shopping list...maybe it's a gift for you! You'll learn about the highest rated, best performing video cameras in several price ranges (from $150 to $1,500). And Chet will present some of his personal favorite accessories and even 'stocking stuffers' that will make your videographer squeal with delight (well, maybe that's going too far). This session is absolutely free with no obligation - just part of the information and expert training available at www.YourVideoExpert.net. It's a web-seminar or virtual seminar, delivered right to the computer in your home or office. Your presenter appears via a Web Cam from his studio and shows you his computer while he teachers and talks with you. Unlike some other webinars available today - these Video Expert Classroom sessions are not veiled attempts to sell you some program or product. This session is pure instruction, on-line learning in the comfort of your home or office. You simply need a computer (Windows PC or Apple/Mac) connected to the internet. You register in advanced for the Webinar and then at the date and time, you log into your computer, entering the specific URL (web-page address) password you receive via email once you register. Click here for the detailed specifications required for your computer. A new on-line resource for video producers has launched! 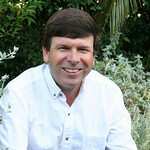 I am thrilled to announce there is a new on-line resource for video producers at my new web site: YourVideoExpert.net. It's an on-line collection of print-able tutorials, short streaming videos and twice monthly webinars focused on helping folks produce even better videos. Many friends and colleagues suggested I use my 17 years in the classroom (teaching video production), coupled with professional media experience (immersed in communication technologies for 30+ years), and my passion for teaching to provide a growing set of resources to help folks produce even better videos. * Twice monthly 'Your Video Expert' webinars on a variety of interesting topics for video producers - amateurs & pros. * Featured website - other great resources of interest to videographers; with video/TV history to resources like music and stock footage. * Sample and critiqued videos - a collection of short videos shot by pros, other members or Chet, with critique & commentary so we can all advance our video art and skill. It's totally free to come over and check out the web site today -- to access the full articles and videos that are posted today and all the coming resources - you are invited to become a member at Your Video Expert. But you still don't have to spend a dime to check it out! Chet is offering a free Trial Membership - now through November 8, 2011. This way you can join him in the live webinars, the live lessons, check out the streaming videos and the print-able tutorials. Again, you can register for your free trial membership - with NO obligation (doesn't even require a credit card). Register for free right now - click here. Tomorrow morning I am hosting a free webinar to help folks understand the techo-babble behind contemporary video cameras in the sub-$1,500 range. This will be a short overview of contemporary video recording formats and today's small format camcorders and will give you a solid understanding of the videography tools available in the sub-$1500 range. We will continue to provide technical support for both Flip video cameras and FlipShare until 12/31/2013. FAQs on these changes are also available at support.theflip.com/flipshare. We hope you will continue to enjoy your Flip video camera and FlipShare. You may have heard that Cisco Systems is closing the door on the FLIP Video Camera product line (Cisco Restructures Consumer Business and Closes Flip Video). FLIP may have been the most prominent of the pocket video cameras but they're certainly not the only ones out there. At the 2011 Consumer Elextronics Show held in Las Vegas this past january I saw a nubmer of contenders in this category... In addition to Kodak's PLAYFULL and PLAYSPORT and Casio's new TRYX there are a several action-sports designed cameras like the GO PRO Hero. "As part of the company's comprehensive plan to align its operations, Cisco today announced that it will exit aspects of its consumer businesses and realign the remaining consumer business to support four of its five key company priorities – core routing, switching and services; collaboration; architectures; and video. As part of its plan, Cisco will close down its Flip business and support current FlipShare customers and partners with a transition plan." Some have said that it was the Flip video cameras that motivated Apple to work to get mobile video to be the important part of the iPhone that it is today (with iMovie as an app, and Vimeo's new iPhone app). I still have two Flip cameras - and think they are great little cameras... I particularly enjoyed using them with the underwater housing for an affordable underwater video camera for snorkeling and backyard pool fun. Green Parrot Pictures' website proclaims that are "Leaders in Video Motion Restoration, Enhancement, Conditioning" The company's headquarters are in Dublin, Ireland but the success they have created with their technology tools evidently grabbed the attention of some very big 'eyes'... Google announced that they have acquired Green Parrot Pictures and there is no mistake that the amazing tools Green Parrot has developed are destined for application within YouTube. Here is a quote from the official YouTube Blog "Some videos are beautifully shot by professionals or aspiring filmmakers using the very latest in HD cameras and equipment. But some of YouTube’s most popular or moving videos are shot using low-quality mobile phones and video cameras... Although emotionally captivating, they can be jerky, blurry or unsteady. What if there was a technology that could improve the quality of such videos -- sharpening the image, reducing visual noise and rendering a higher-quality, steadier video -- all while your video is simply being uploaded to the site? You can imagine how excited we were when we discovered a small, ambitious company based in Ireland that can do exactly this." As who who is involved with technology - video technologies specifically -I was blown away by the online video samples that point to the results obtained with Green Parrot Technologies - it is totally amazing to me that what used to require very sophisticated electronics costing thousands of dollars (and usually available only to high-end industry professionals) is becoming available 'in the cloud' for most anyone on earth to access and use. Here is a sample clip from Green Parrot that demonstrates their Stabilization technology - it has a before and after sequence of the same shot and then a side by side comparison at the end. "The following clip demonstrates a complete film restoration process. In this example, the footage had been restored through the combined application of GPP's automated restoration tools. The complete restoration process includes the application of stabilization, flicker removal, blotch removal and noise reduction. Closing remarks from the Official YouTube Blog "With the equivalent of over 170,000 full-length movies uploaded to YouTube every week, the team’s experience in this area -- working on solutions for both video consumers and experts alike -- will be a source of new ideas and further innovation at YouTube and across Google. We look forward to working with them to make the videos you upload every minute of every day to our site look even better." Videomaker Magazine was released it's Annual Camcorders Buyers Guide. The Guide is is a single-page PDF document (13" x 22") that is essentially a chart/grid with details on the different camcorder models they reviewed. The chart is broken down by camcorder manufacturer and then lists the model of each camcorder corresponding to 30 different criteria, which are mostly technical specifications like the zoom ratio, recording format, connectors and other valuable information. I think the chart - while containing very helpful information - may be daunting to most casual videographers, unless you are comfortable with video technology lingo. The Buyers Guide (chart) is a great place to get some basic information on the available camcorder models. I also recommend checking the reviews at CamcorderInfo.com; In addition to specific reviews on a number of current camcorder models, they have a rating system with points based on a number of criteria. I always recommend visit a retailer to get my hands on the specific model/s I was interested in to get a first-hand experience with the camcorder I am interested in. And the best possible scenario is if you have a friend or colleague who has direct experience with a particular camera/camcorder - you'll have feedback that may be valuable in your purchase decision. You'll find the download-able chart here (link on page 2): Videomaker Annual 2010 Camcorders Buyers Guide.